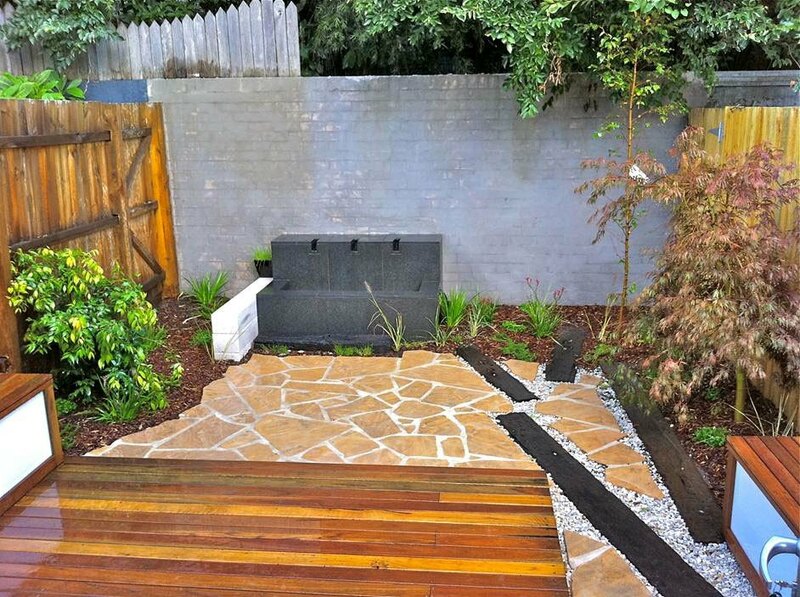 A sunken entertainment area with space for a table and chairs or central firepit. 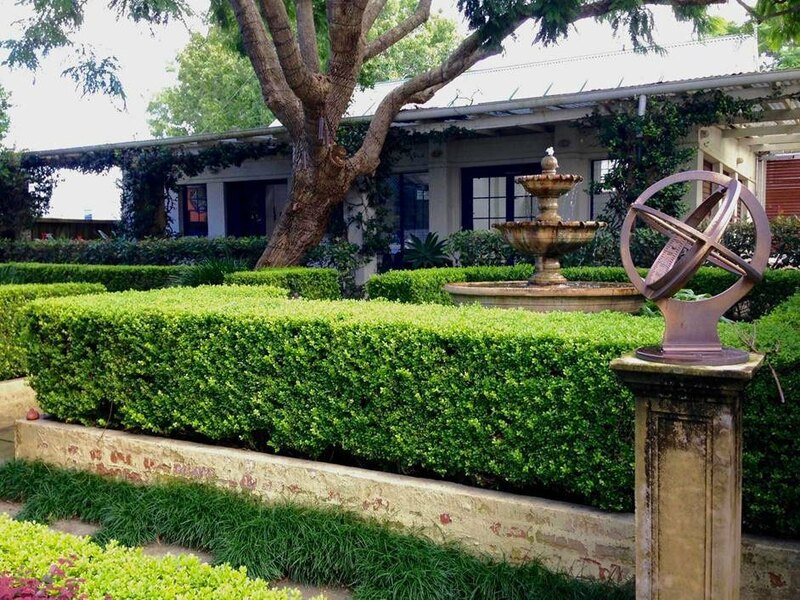 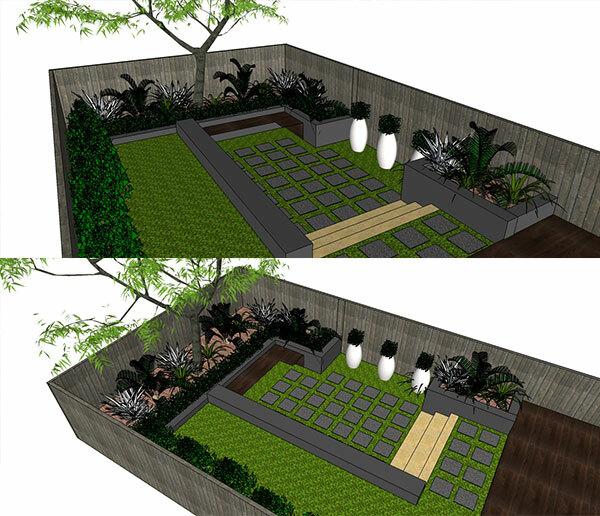 The space is simplified with an upper grassed area and intimate seating, surrounded with wrap around Buxus hedging. 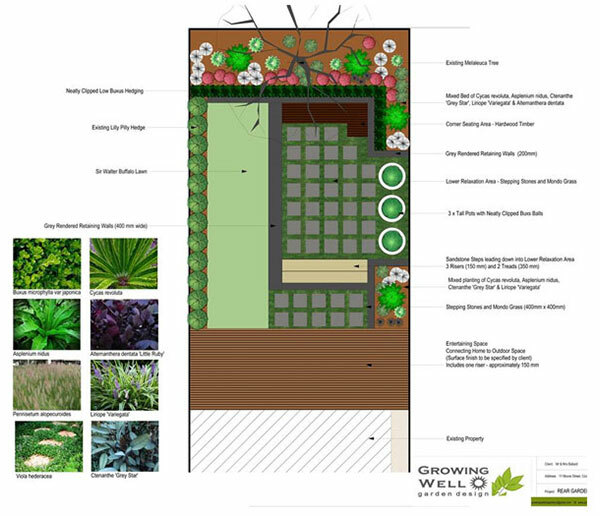 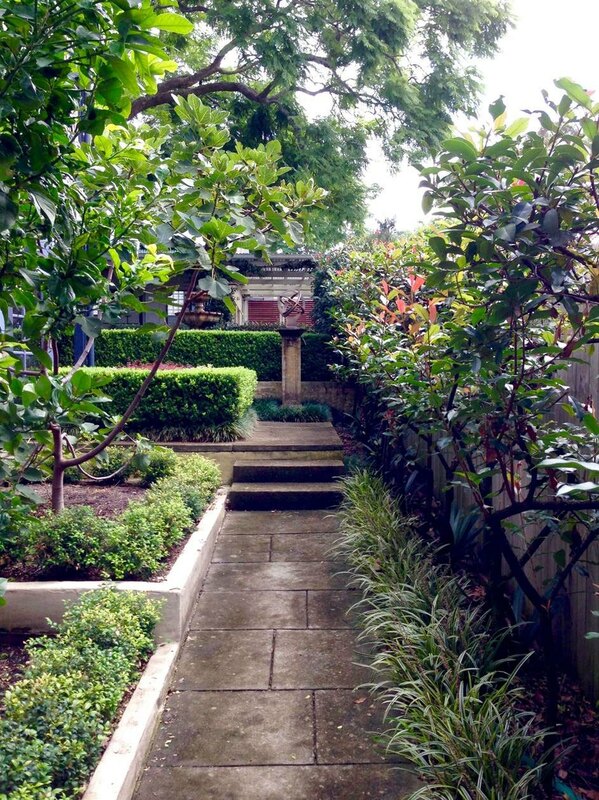 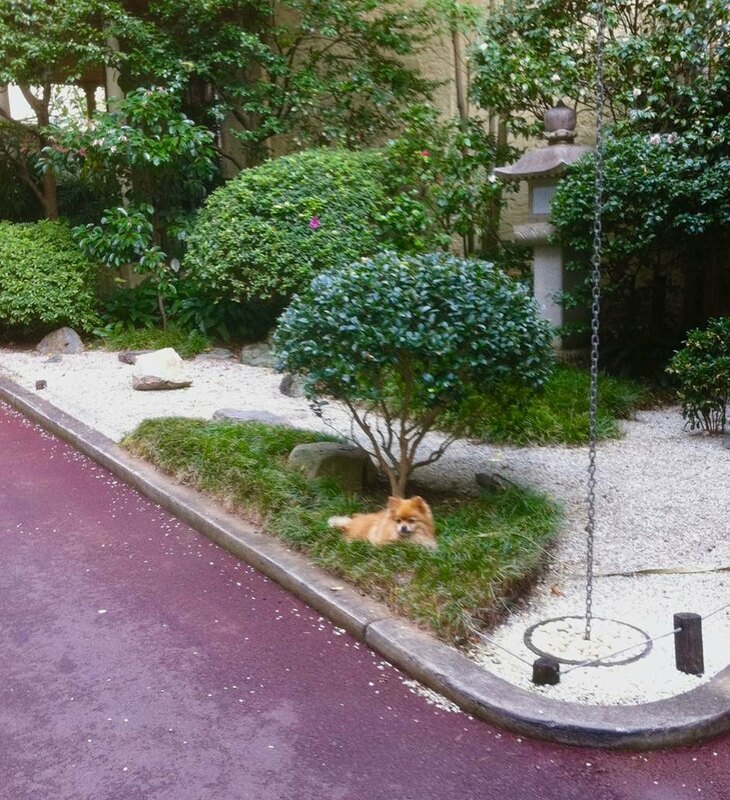 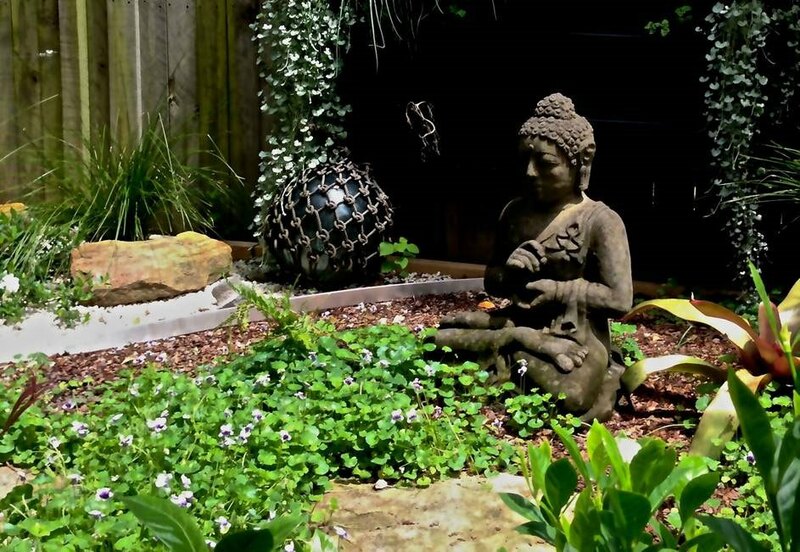 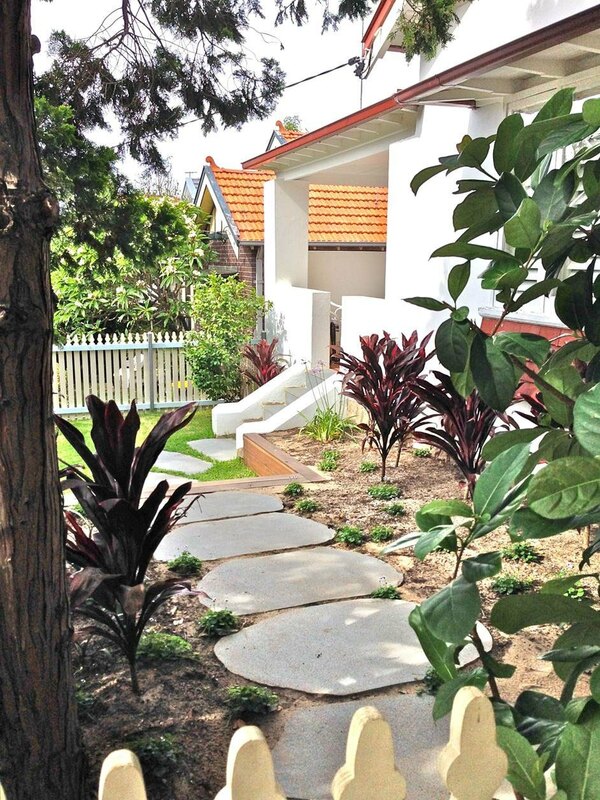 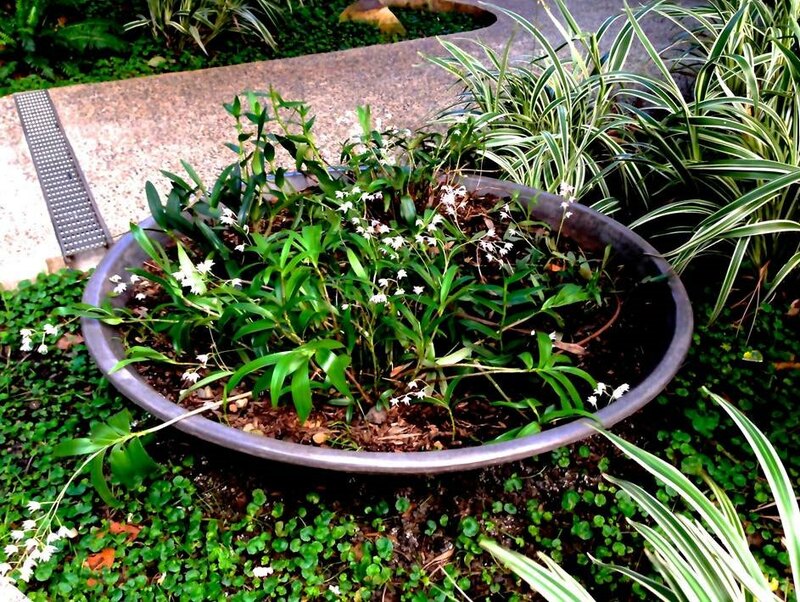 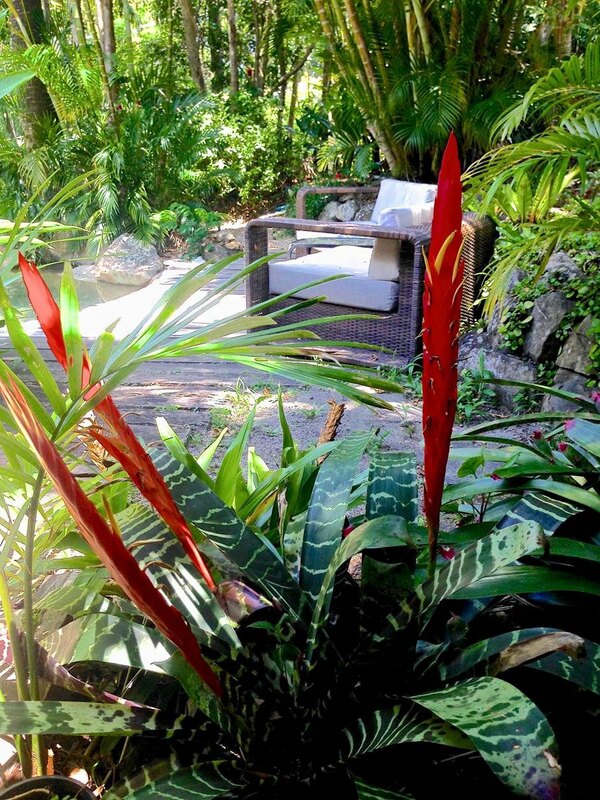 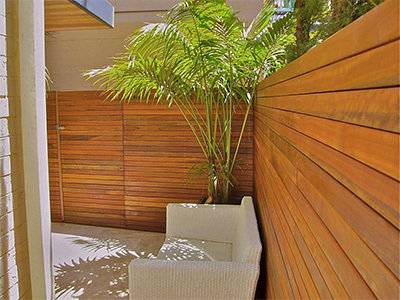 The planting serves to increase the seclusion of this garden haven adding extra privacy. 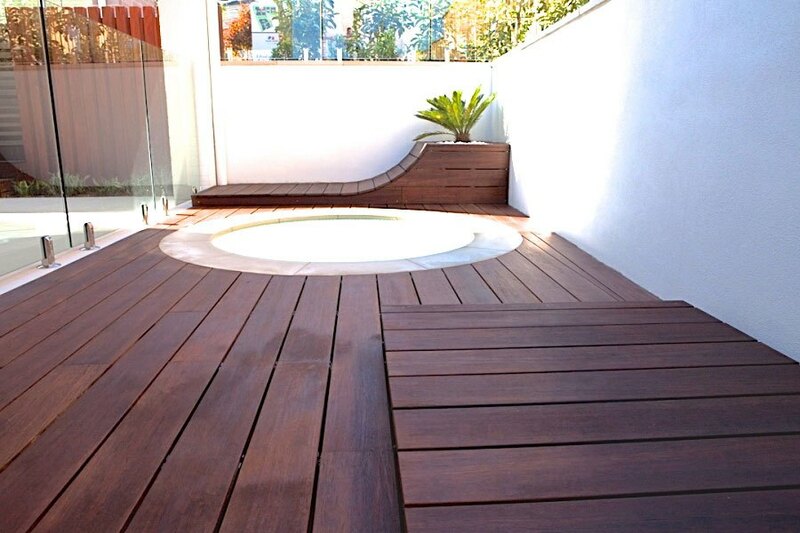 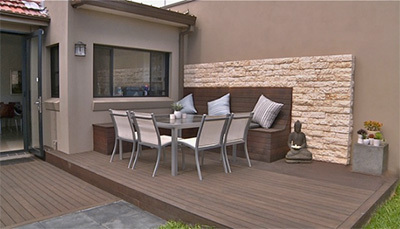 This inner city courtyard applies an Asian theme featuring native hardwood decking and movable bench seating. 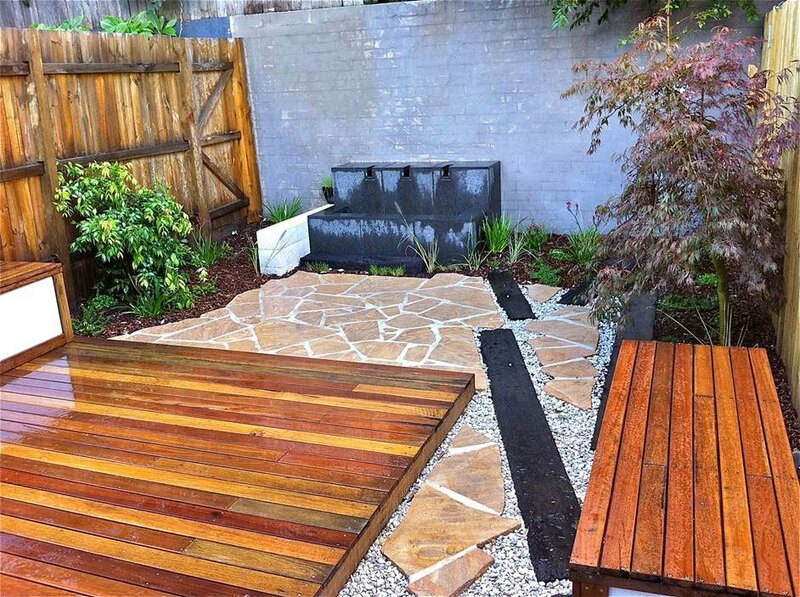 The rustic element of used railway sleepers creates an interesting contrast. 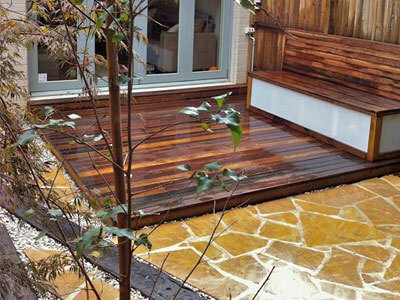 The timber design compliments mixed hard landscape materials, and serves as a link between sections of the garden and water feature at the rear of the courtyard. 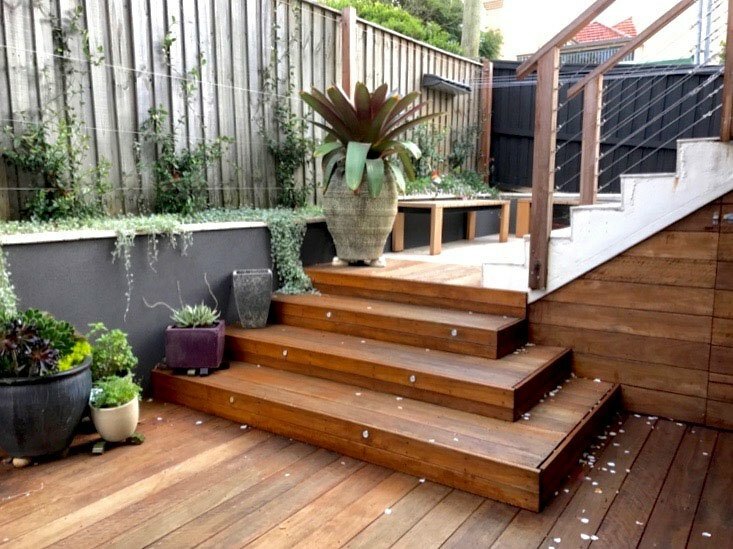 This split-level deck draws the family out to communal seating and entertainment area, where paving and deck match internal floor level. 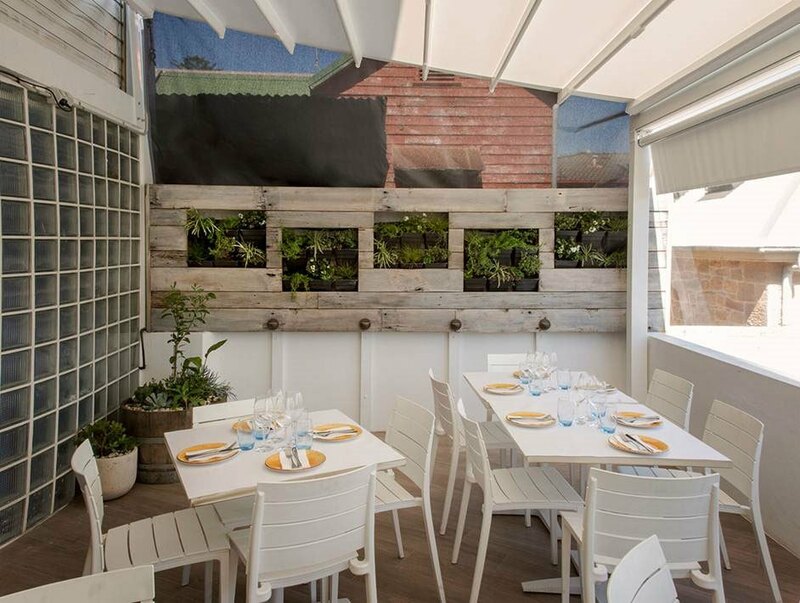 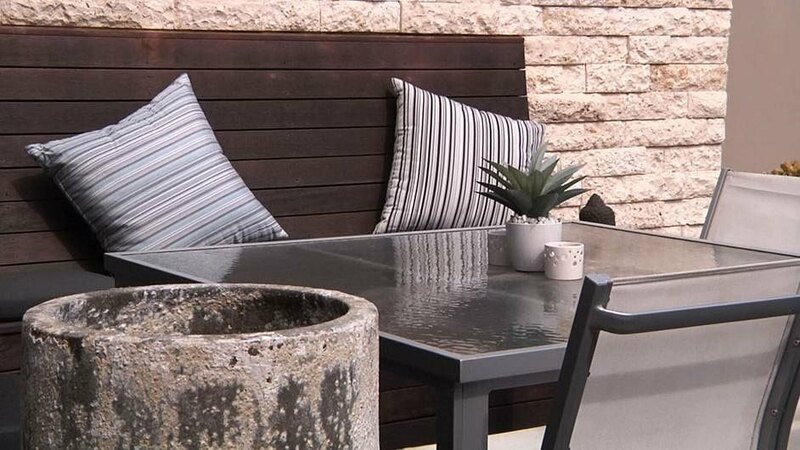 Serving to enhance the outdoor space the decks and custom seating are highlighted by garden lights and a feature wall in white facia stone. 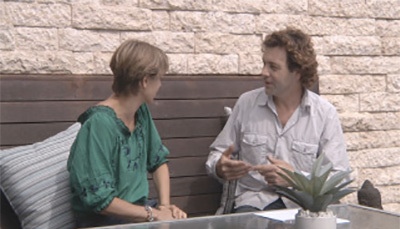 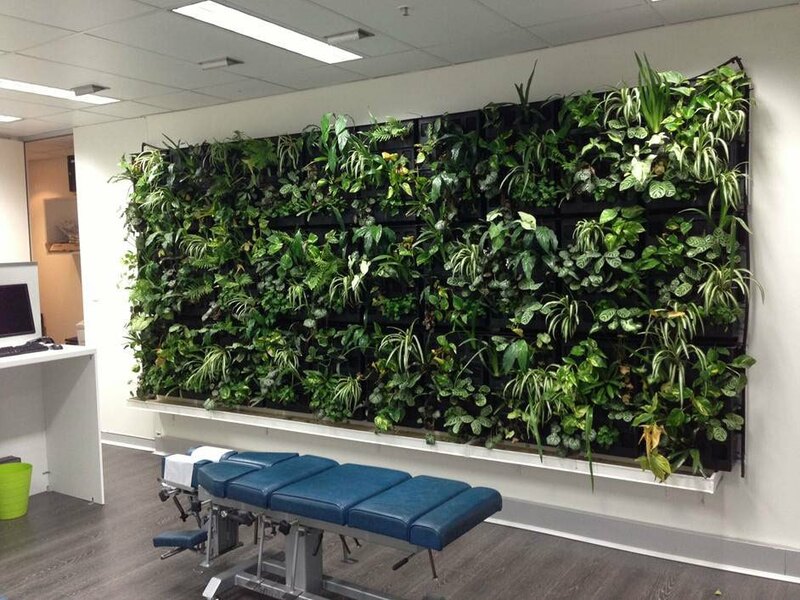 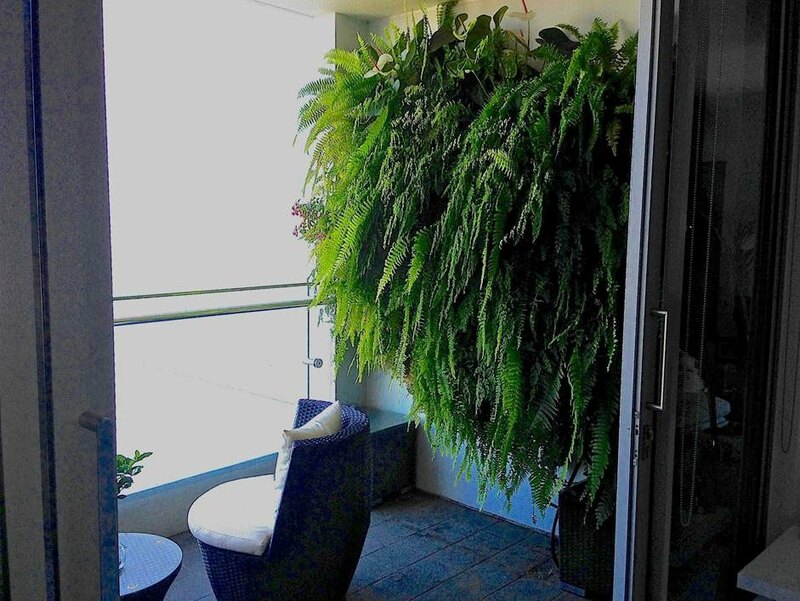 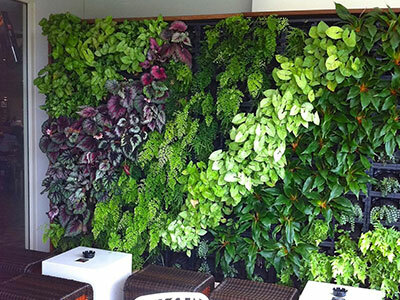 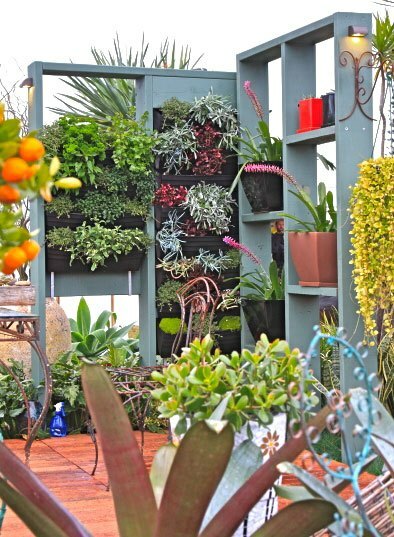 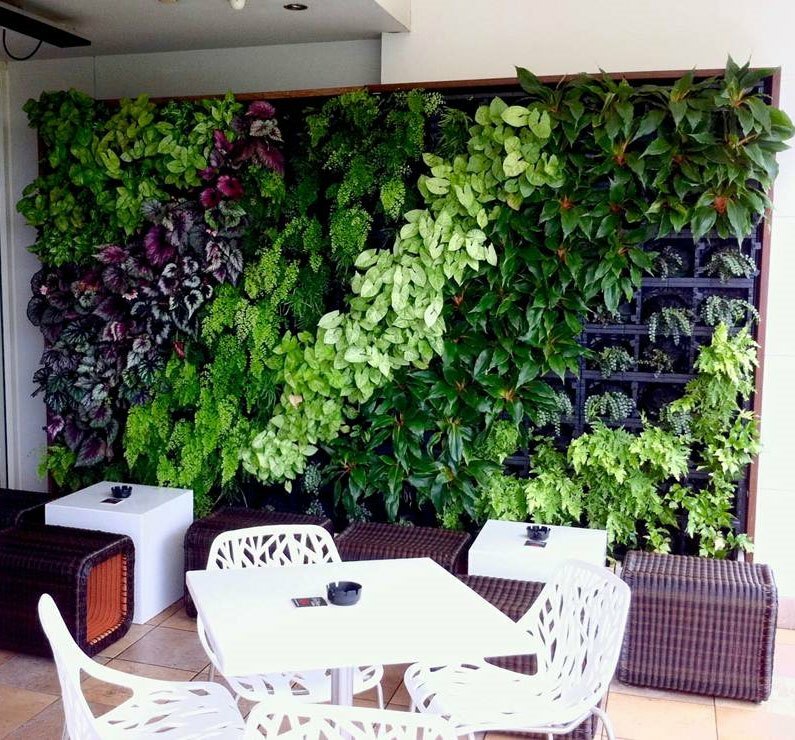 An exciting and bold living feature for an outdoor terrace is a vertical garden or green wall garden. 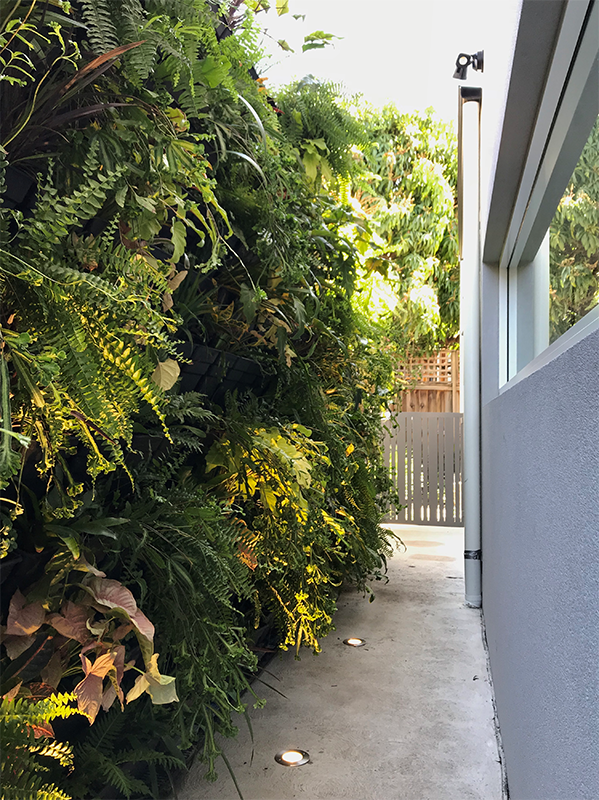 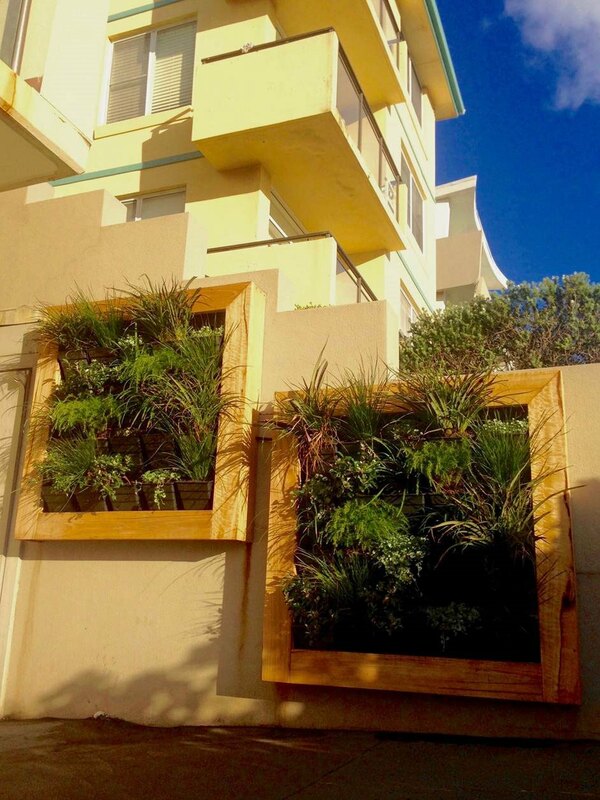 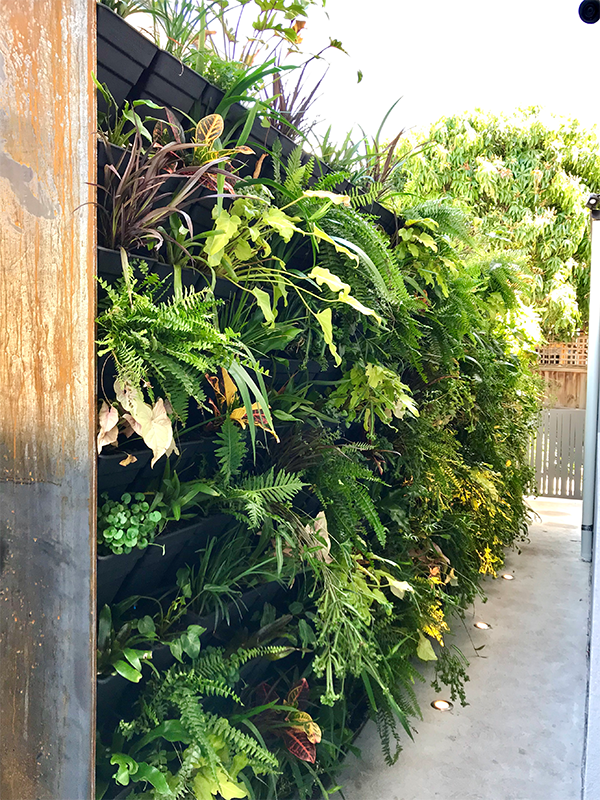 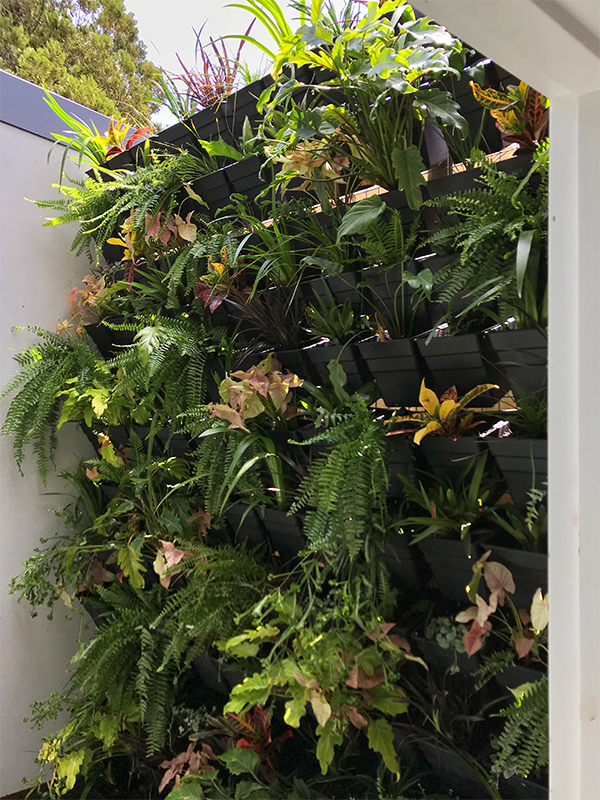 Vertical plantings make a dramatic impression and transform both residential gardens and commercial areas by enhancing the use and enjoyment of outside spaces. 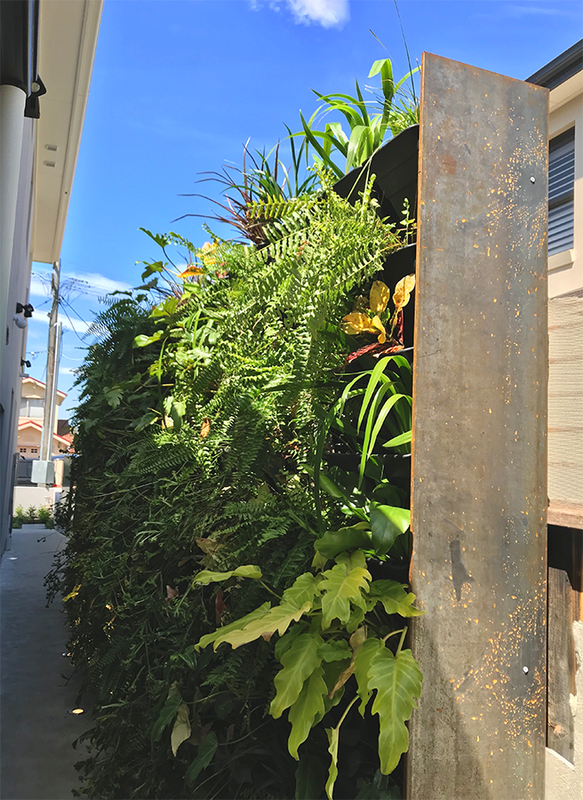 Our commercial Green Wall Herbert St, St Leonards was built in 2011 and is standing up to the test of time having great success with full sun planting. 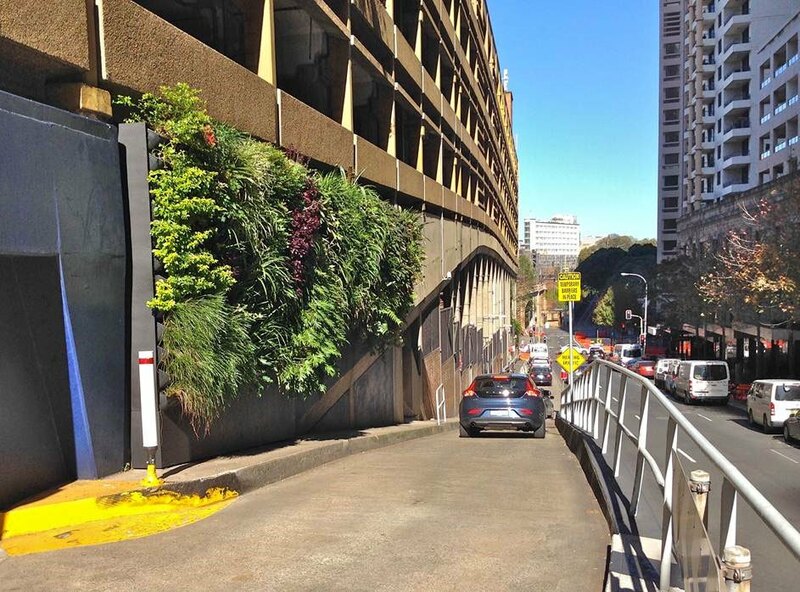 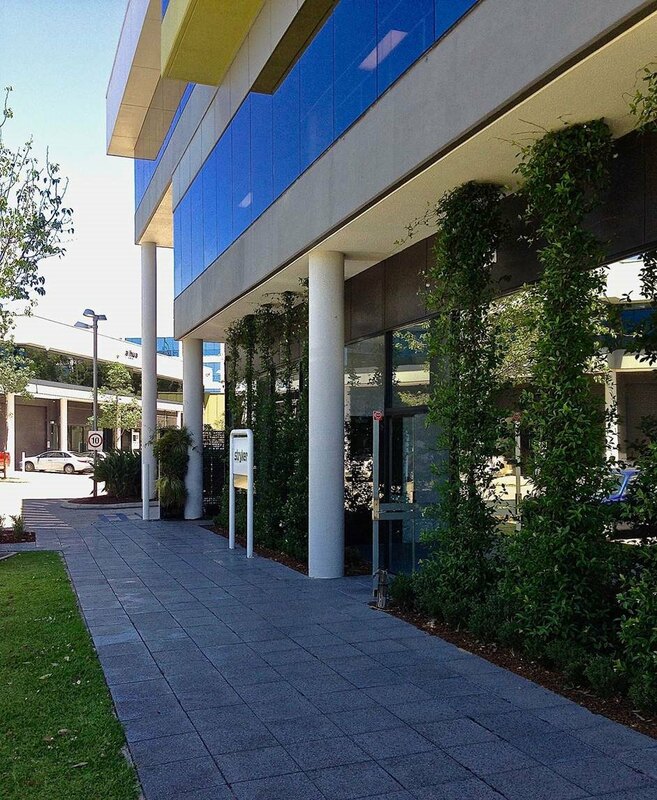 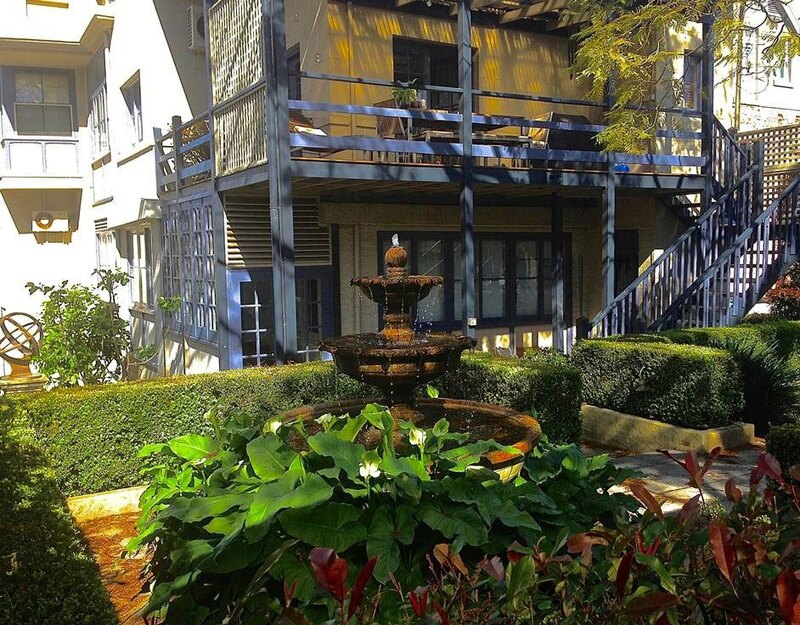 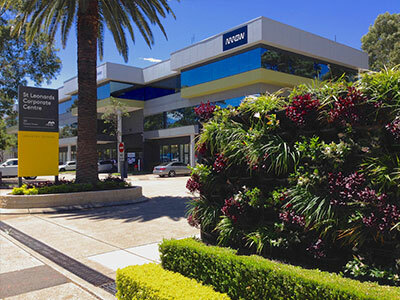 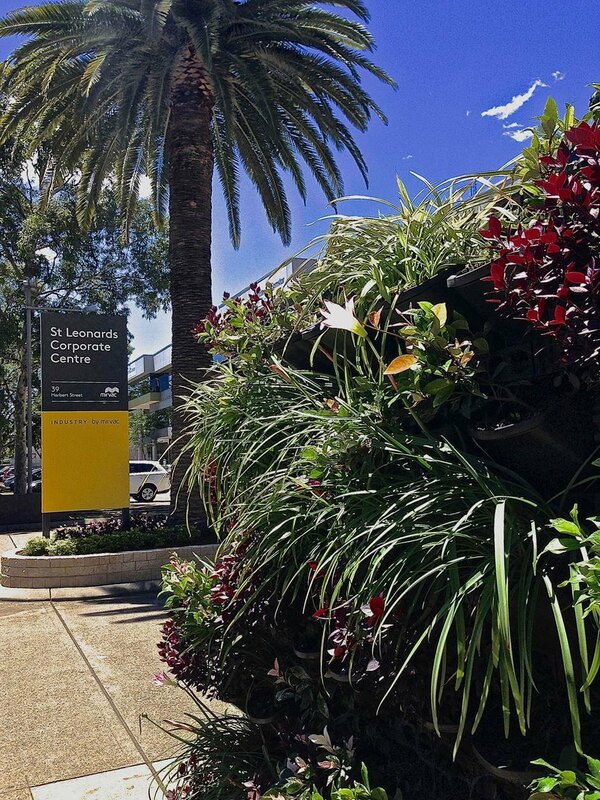 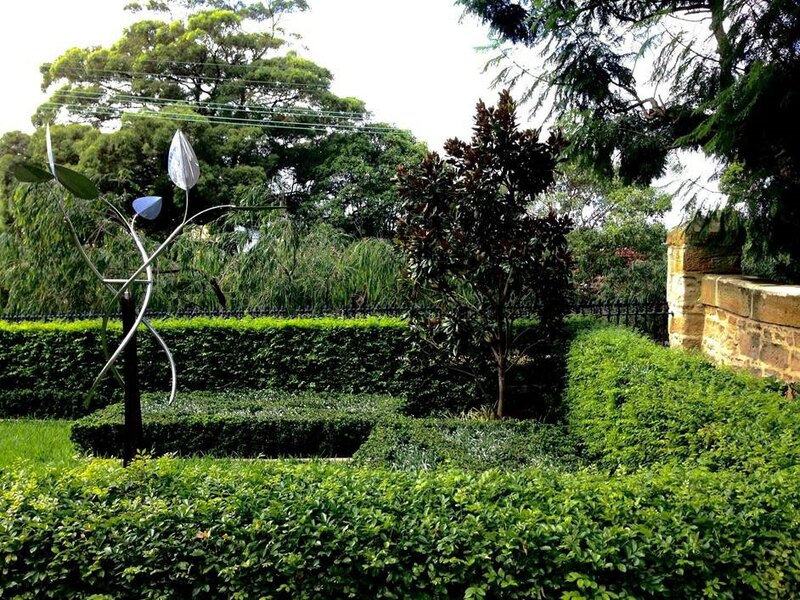 Hornsby RSL was designed and built 2010 utilising a mix of ferns and shade tolerant plants. 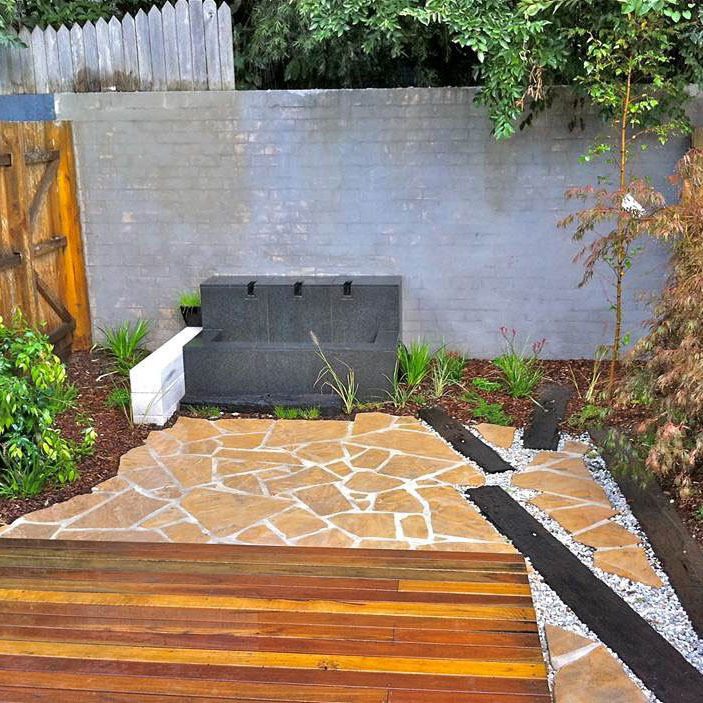 A family entertainment area extends at the rear of this Surry Hills home incorporating a stone retaining wall to form a sunken seating space. 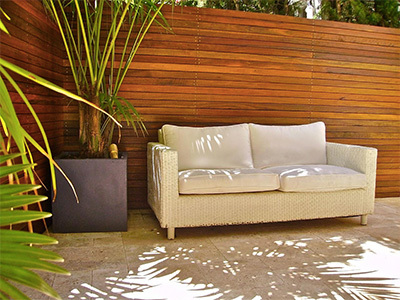 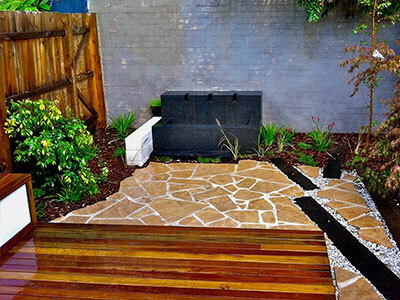 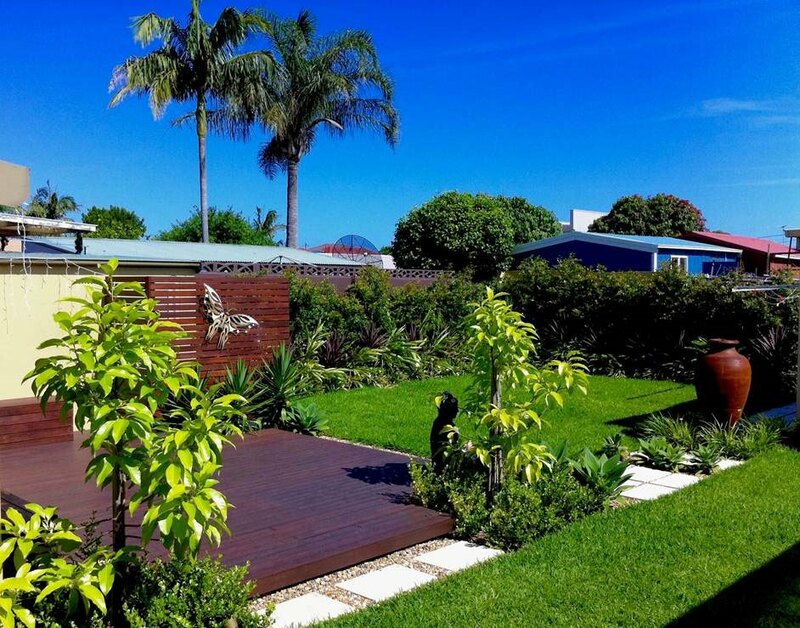 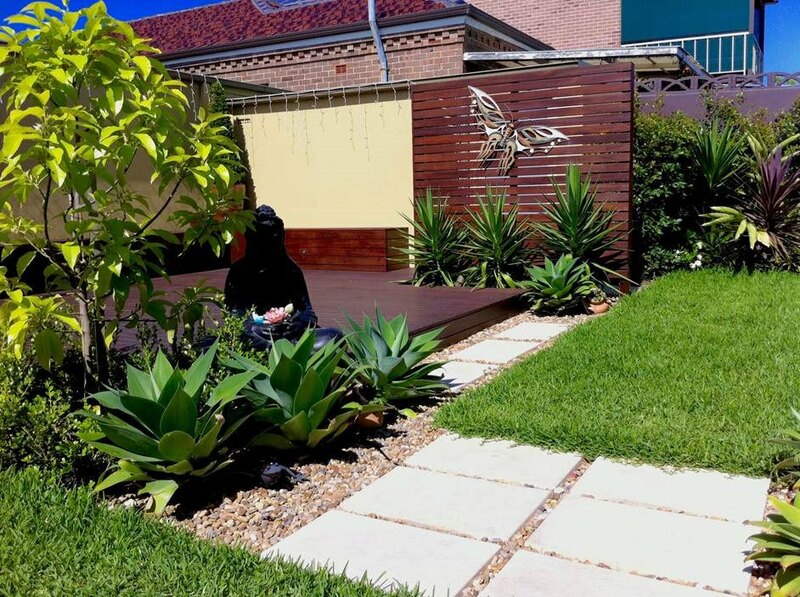 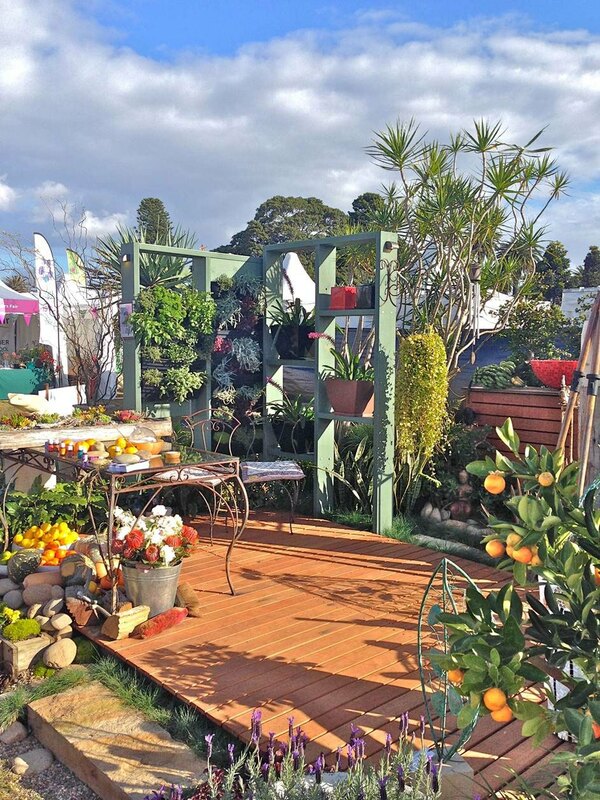 This garden design in Sydney waiting to be personally decorated incorporates blackbut timber seats with storage and daybed providing comfort and intimacy. 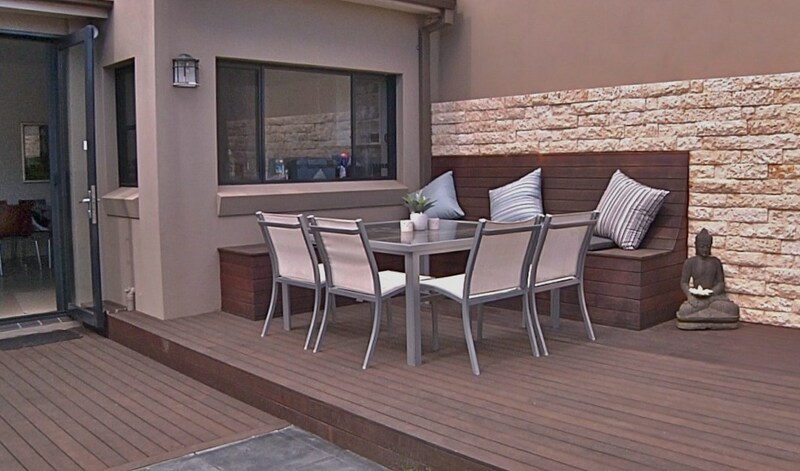 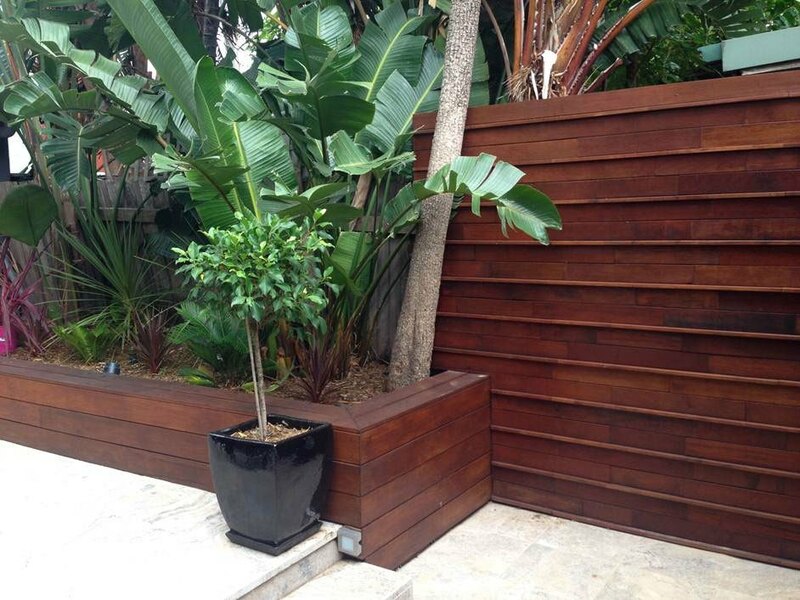 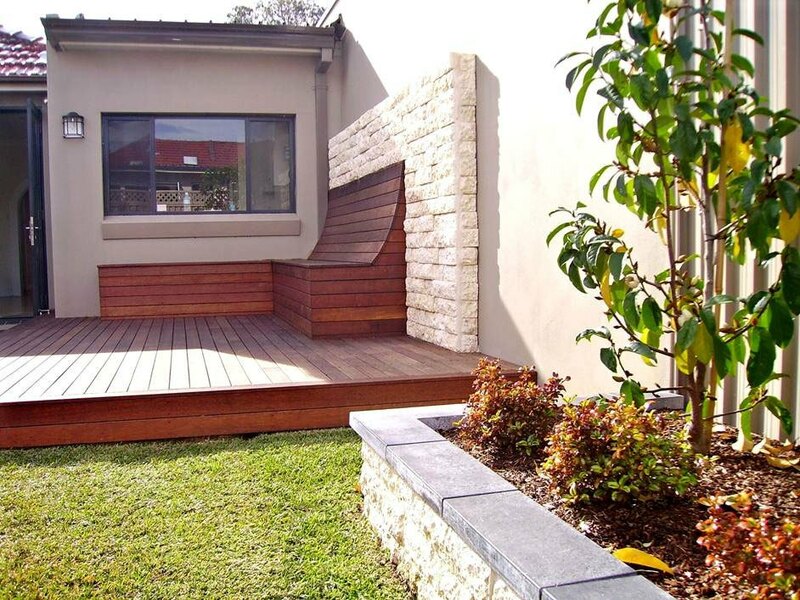 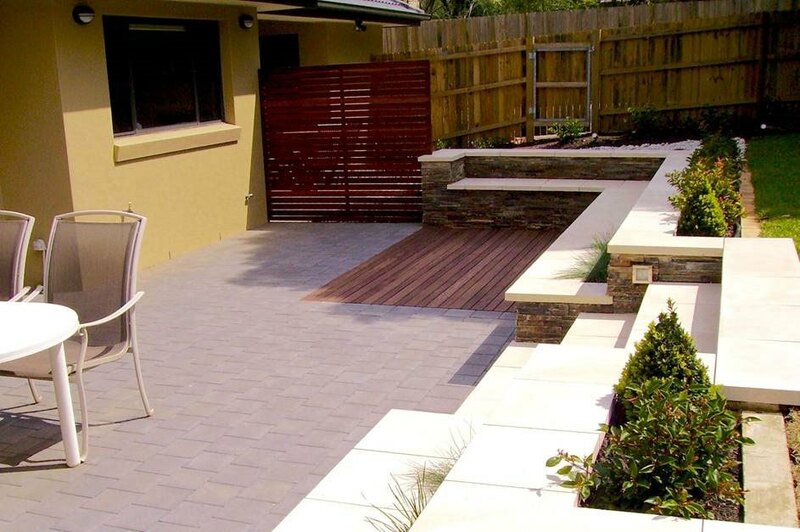 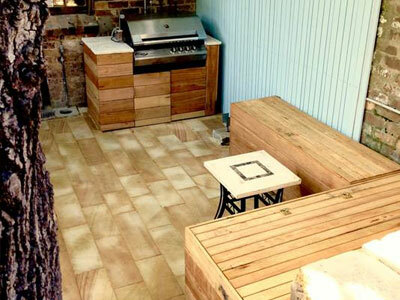 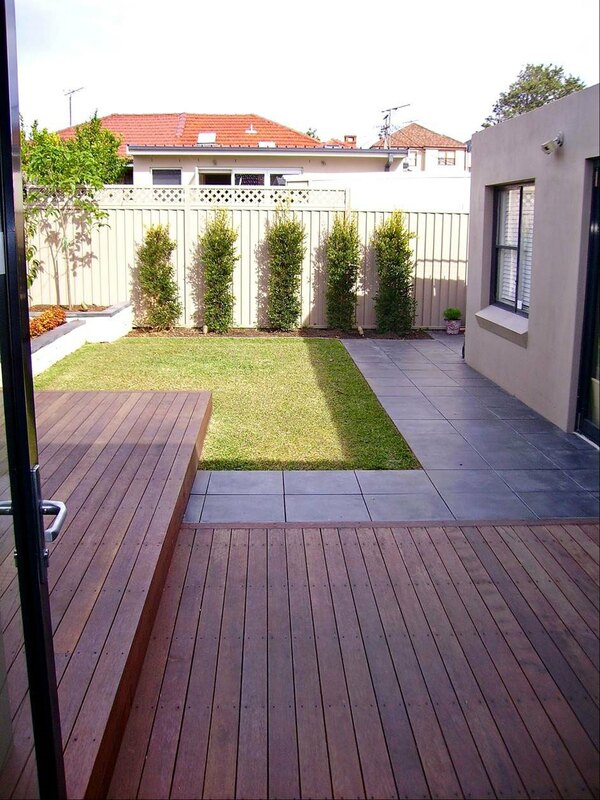 Landscape materials: hand crafted sandstone, hardwood, Sydney Stone pavers and treated pine screens. 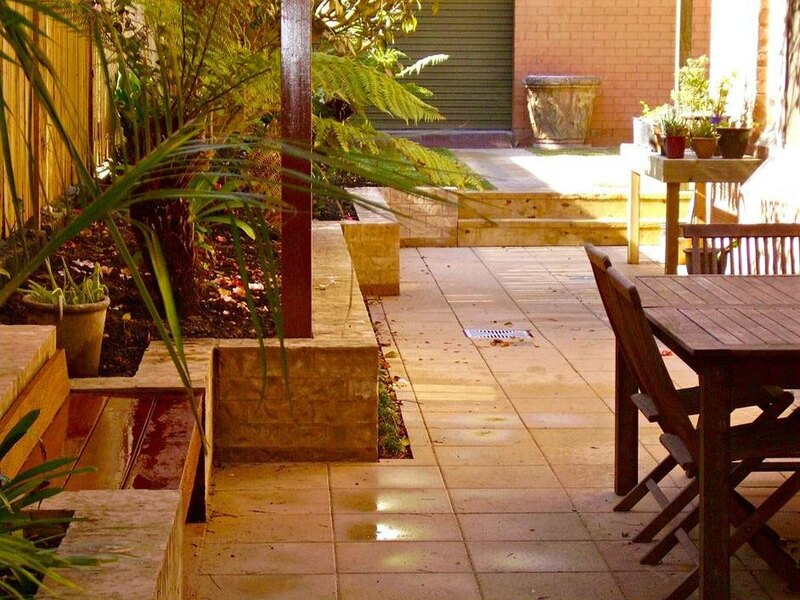 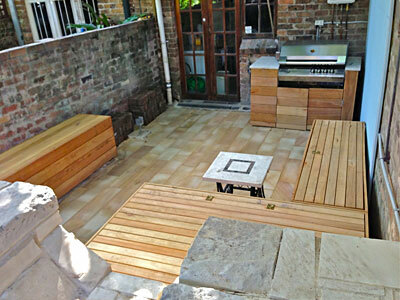 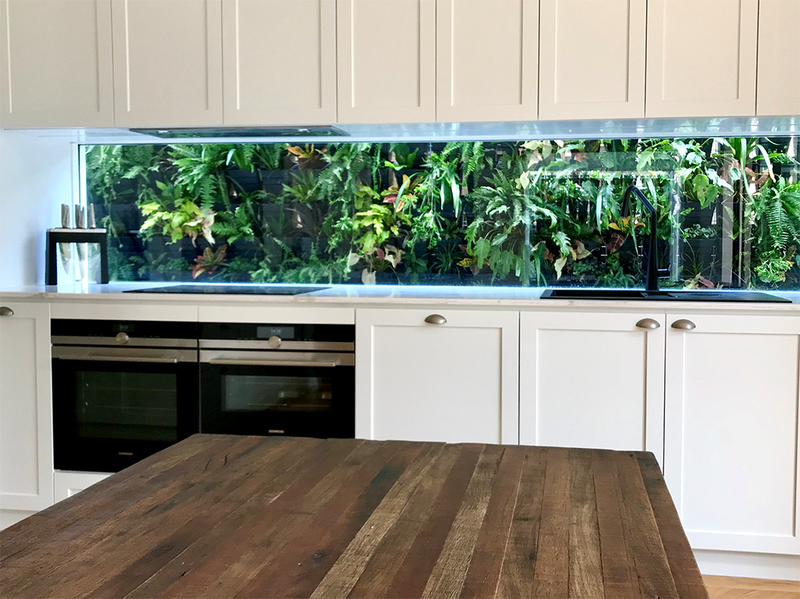 Natural stone travertine paving and an Australian hardwood screening have renewed this Paddington terrace to give it a new inspiring lease of life. 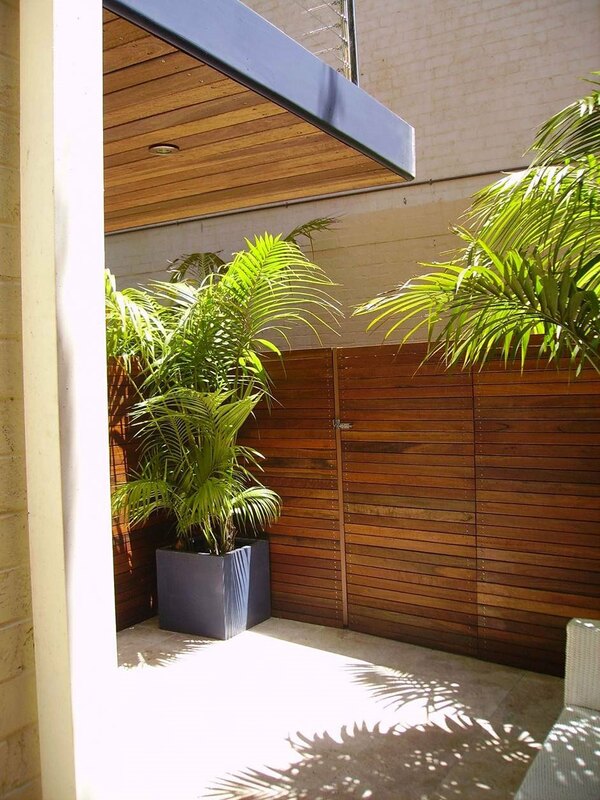 The courtyard area invites you outside to enjoy the evenings through a matching hardwood awning. 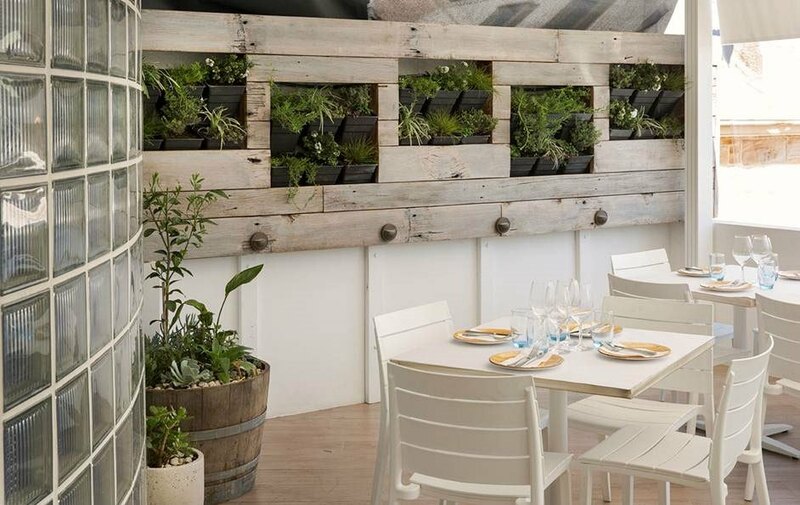 Spotlights placed above and below add to the atmosphere to enjoy the evenings.